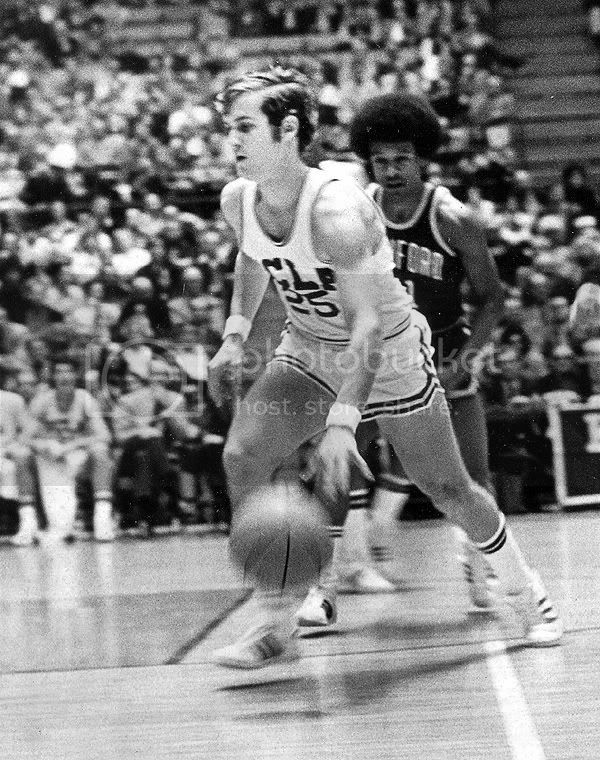 Andy Hill played for the UCLA Bruins from 1968-72. He never thought he would ever talk to him again. For decades, a painful chapter in his life had been left buried beneath long forgotten newspaper clippings and uneasy memories of once playing for the greatest college basketball program and its legendary coach. The shame and hurt Andy Hill had harbored from that time of his life stayed with him for most of his adulthood, and kept him away from the game he adored as a young boy growing up in West Los Angeles. Naturally, growing up in the early 1960’s literally in the backyard of the Westwood campus, Hill became an avid UCLA fan at a time when the basketball team did not even have a home court. Prior to Pauley Pavilion being built, the basketball team would play their games in any venue available to them. "I started attending Bruin games as a youngster when the team played in places like the Beverly Hills High Swim Gym, Santa Monica College, and Los Angeles Sports Arena." Hill reminisced. "You paid a buck as a kid in those days and never had a problem getting into a game." Hill later enrolled at nearby University High School where he spent countless hours in the gym honing his basketball skills. He averaged 27 points per game as a senior and was named to the first ever sanctioned All-City All-Star game in 1968. Not surprisingly, Hill was ecstatic when he learned UCLA coaches were scouting him. "As a kid growing up in the area I was blown away when UCLA assistant coaches Jerry Norman and Gary Cunningham started coming to my games and showed interest in me," he recalled. Hill’s high school coach, Courtney Borio, had played under Wooden in the early 1950’s where he played sparingly - a role Hill would later become very familiar with during his own career at UCLA. Yet at the time, Hill was a talented young prep star and had been recruited by numerous other schools, and to even be considered by UCLA - a team which was in the midst of sport’s most incredible string of title runs, was unfathomable to him. Hill remarked, "I was probably the easiest recruit ever for UCLA because all they really had to do was convince me that they weren't kidding about offering me a scholarship." Hill’s playing career at UCLA started off remarkably enough. Playing alongside Henry Bibby on the UCLA Freshman team, Hill had a phenomenal season averaging 19 points and 8 assists and shared the team’s award for most valuable freshman with Bibby. The varsity had just won its sixth national title in seven years, and Hill was well on his way to becoming a major part of the UCLA winning tradition. Although he had excelled on the Freshman team, Hill realized early on playing for the Varsity team was going to be a far greater challenge. "I found out rather quickly the quality of play was different at this level. Everyone was bigger, stronger, faster, and better prepared.” Hill said. “It was a game played at a different pace." Yet, Hill still believed he could compete at this level and longed for an opportunity to prove it. After one intrasquad game before a paying crowd at Pauley Pavilion, local newspapers wrote Wooden had said Hill might be helpful to the team against certain pressing defenses. The Herald-Examiner even went as far as writing that the young sophomore might become a ‘right-handed Gail Goodrich’. But opponents rarely ever pressed Wooden teams, and subsequently over the next three seasons, significant playing opportunities never materialized for Hill. Moreover, for varying reasons, Hill had a tumultuous relationship with Wooden during his years at UCLA. In one particular incident, Hill and his teammates drafted and signed a petition to protest the war in Vietnam and had sent it to the White House on behalf of the entire UCLA basketball team. When Wooden learned of their actions, he singled out Hill as the ring leader and called him into his office to express his deep displeasure over his actions. "It was chaotic times, the Vietnam War was going on,” Hill explained. “Coach hadn't changed much since 1948, the year he came to UCLA, and I wasn't capable of putting myself in his shoes - it was really about my own immaturity at the time." 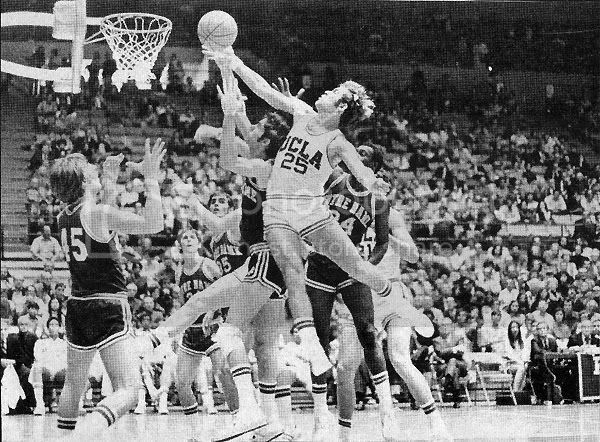 In three seasons with the Varsity team, Hill averaged 1.8 points in 79 games, and usually entered contests when the crowds were already heading for the exits at Pauley Pavilion after another Bruin blowout victory. Despite playing on three consecutive national championship teams, it was not the type of basketball career Hill had anticipated when he signed to play at UCLA four years earlier. For many years afterwards, it wasn’t a period of time he was very fond of sharing with others he met in his life. “Not many people I worked with ever knew I played basketball at UCLA,” Hill said. ”I never talked about it at work because I had been ashamed of my own basketball career." Upon graduating from UCLA, Hill began a long and successful career in television production. As President of CBS Productions, he supervised the development of numerous family-oriented programs such as Touched by an Angel and Dr. Quinn, Medicine Woman. As a top television executive, Hill demonstrated the ability to assemble teams of creative talent and to motivate them to reach for competitive greatness. Hill didn’t realize where he had learned this talent to manage and lead teams of people. The advice rung eerily familiar to Hill and he soon realized he had heard such advice before. It turns out it was the same instruction he had received from Wooden while as a player at UCLA. “At practices, Coach would repeatedly tell us to be quick - but don’t hurry,” Hill recalled. Like an epiphany, Hill came to the realization that all he had learned to succeed in business, family, and life had been taught to him by Coach Wooden. Hill knew what he needed to do next. He needed to call Coach. "Never in my life did I think I'd be calling Coach again." Hill reflected. Working up the courage to call Wooden, the uneasy feelings he had as a player at UCLA all returned. All those years of sitting on the bench until the game result was well in hand had been unbearable for him - especially after joining the team with higher aspirations. He was about to call the man he blamed for turning a boyhood dream into a life experience he was ashamed to discuss with others. But something inside Hill was urging him to reach out to Coach Wooden. Most of all, it was a cathartic experience for Hill - all the pent up angst he had kept inside for Coach Wooden quickly dissipated after the two finally met and talked. Hill no longer holds Wooden responsible for his troubles on the basketball hardwood, but instead credits his former coach for teaching him the essentials of how to be successful in life. "I look back at my days at UCLA and now realize it was the greatest experience any young person could have had.” Hill recalls. 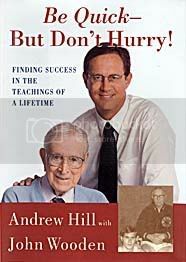 In 2001 Hill co-wrote a book with Wooden titled: Be Quick -- But Don’t Hurry! It chronicles Hill’s experiences as a basketball player and television executive, and provides a model for businesses to follow based upon the teaching principles of Wooden's Pyramid of Success. Currently, Hill visits with his former coach often, and maintains a special and close relationship with Wooden, often accompanying him to special events. He recalls a recent conversation he had with Wooden at the coach’s Encino home. Hill mentioned that he had difficulty remembering details of the games he actually played at UCLA. Wooden offered to help refresh his former player’s memory. “We were laughing so hard that we were both beside ourselves." When talking to Hill, one gets the sense how much he has become like his old mentor. "In some ways I don't feel as if I’ve adopted his way of life, but instead, it is what I have become.” Hill explains. “The real power of his teaching is how it becomes integrated into your soul and it’s just who you are." In those classrooms on the basketball court, Wooden not only taught the fundamental art of playing basketball - he also imparted to players his wisdom on the importance of family, life balance, and spiritual belief. "You talk to any of Coach’s ex-players or assistant coaches like Gary Cunnigham and Denny Crum, Hill said. “You’ll find they all possess certain elements of Coach within them." “What I hope people will take from my experience is that things in life are only impossible if you think they are - and it’s amazing what can happen if you pick up the telephone and reconnect with people.” Hill said. Evidently, Hill was attentive in Coach Wooden’s classroom.